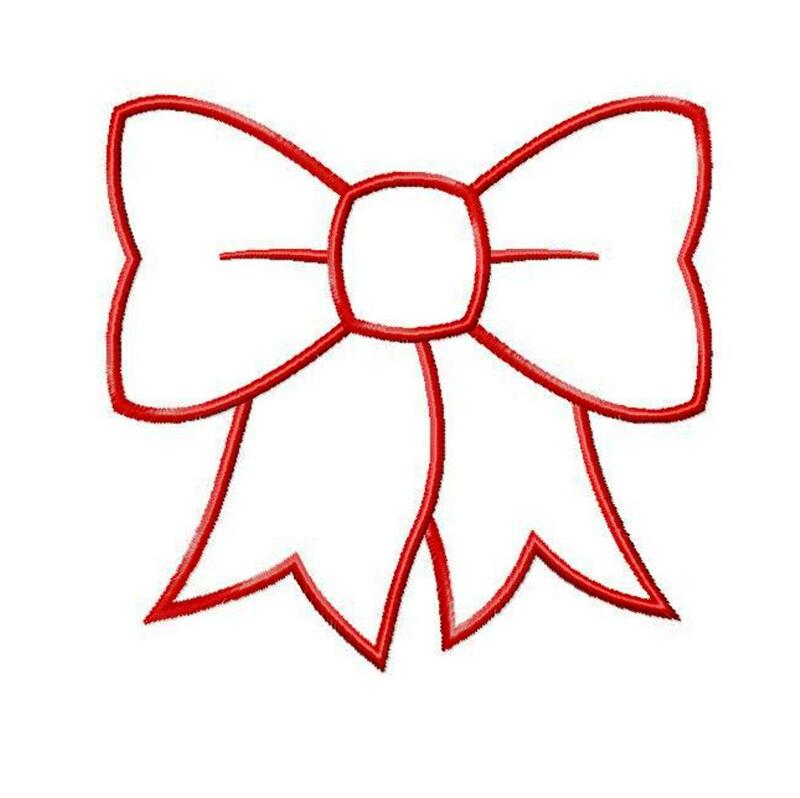 This bow looks really cute on a t-shirt or on a babies bib! Lovely on bed linen. 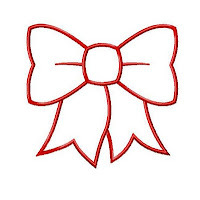 Coordinate your child's room with a row of bows along the top of a bed sheet in pale pinks or soft lilacs. Perfect for adding a festive touch to your placemats, napkins...all your Christmas table linen! Perfect for a Christmas stocking! 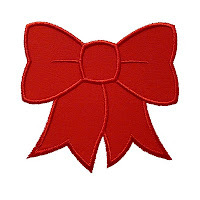 Make your bow more festive by using gold or silver metallic thread. Size 4x4 - exact size 3.93" x 3.76"
Size 5x7 - exact sizes 5" x 4.76" and 6" x 5.71"